Blend into any terrain with the no-glare hues of green, brown, black, and sand. The makeup won't dry, crack, or come off with rain or perspiration, yet removes easily with Hunters Specialties Camo-Off® makeup remover pads or soap and water. This essential hunting gear includes mud brown, flat black, dark brown, forest green, and sand colors in a pocketsize case with built-in mirror. Blend into any terrain with the no-glare hues of green, brown, black, and sand. The makeup won&apos;t dry, crack, or come off with rain or perspiration, yet removes easily with Hunters Specialties Camo-Off® makeup remover pads or soap and water. 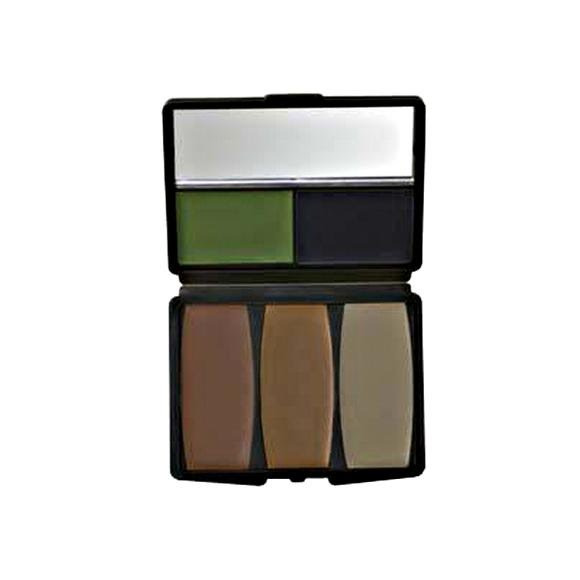 This essential hunting gear includes mud brown, flat black, dark brown, forest green, and sand colors in a pocketsize case with built-in mirror.